The final season of Game of Thrones is already one of the most talked about things on television, despite it not actually being on television yet. If we are to believe the hype though – and I have a feeling we should – the eighth season is going to render all other television irrelevant, as the sheer size and scope of it is not only going to surpass anything we’ve seen on the small screen before, but the big screen too. I remember seeing The Lord of the Rings: The Two Towers at the cinema when I was a kid, and it’s fair to say it blew my tiny mind. The vast number of orcs, the fear the fellowship wouldn’t survive, the unbridled joy when Gandalf appears at first light on the fifth day. The epic extent of the Battle of Helm’s Deep was almost too much to comprehend. Now, however, the director behind GoT‘s upcoming battle to end all battles is suggesting that yes, actually, they are going after Helm’s Deep as the benchmark for onscreen clashes, with their latest offering so intense the audience are in danger of getting ‘battle fatigue’. 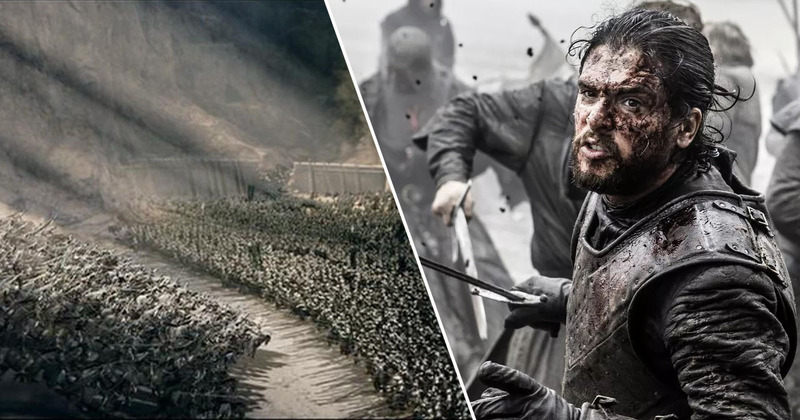 Speaking to EW, director Miguel Sapochnik said he studied The Battle of Helm’s Deep for inspiration, while he also tried to find a longer battle sequence to compare GoT to, but couldn’t. It’s not just the length of the battle, but what it encompasses that will give Helm’s Deep a run for its money. The director revealed it takes in more than 20 members of the main cast, each with their own perspective and narrative, and each taking part in the huge fight. While the sequence evidently took its toll on the cast too. Reportedly taking 55 days to shoot, mostly at night (the shooting sequence was nicknamed ‘The Long Night’ by the cast), it has been described as making the Battle of the Bastards ‘look like a theme park’ by Peter Dinklage, who plays Tyrion Lannister. It was the most unpleasant experience I’ve had on Thrones – a real test, really miserable. You get to sleep at seven in the morning and when you wake in the midday you’re still so spent you can’t really do anything, and then you’re back. You have no life outside it. You have an absolute f*cked bunch of actors. But without getting too method [acting] about it, on screen it bleeds through to the reality of the Thrones world. Everybody prays they never have to do this again. The actors may be glad to see the end of it, but I’m sure it’s going to take some time for fans to get over the finale of Game of Thrones. Season 8 of Game of Thrones will air in the US on HBO on April 14 and Sky Atlantic early April 15 morning in the UK.